Shamma Al Amri received a master’s degree in culture and creative industries, and a bachelor’s degree in art and design from Zayed University where she was part of the Sheikh Mohammed bin Rashid Young Leaders Program. Known for her diverse use of media, she has participated in a number of local and international exhibitions, including the 2010 Shanghai World Expo. Al Amri co-founded The Nomad Box Project, which presented contemporary local arts to the public in a renovated shipping container that toured Dubai. She also belongs to the Five Art Beats collective, which is located in a studio/gallery space in Dubai’s Bastakiya district. She is a current recipient of the Salama bint Hamdan Emerging Artists Fellowship, organized in partnership with the Rhode Island School of Design. Al Amri lives and works in Dubai. Shamma Al Amri’s work explores how change is inevitable because what is present today will become the history of tomorrow. Within less than three generations, isolated villages of tribal societies have been transformed into the UAE’s modern metropolitan centers. 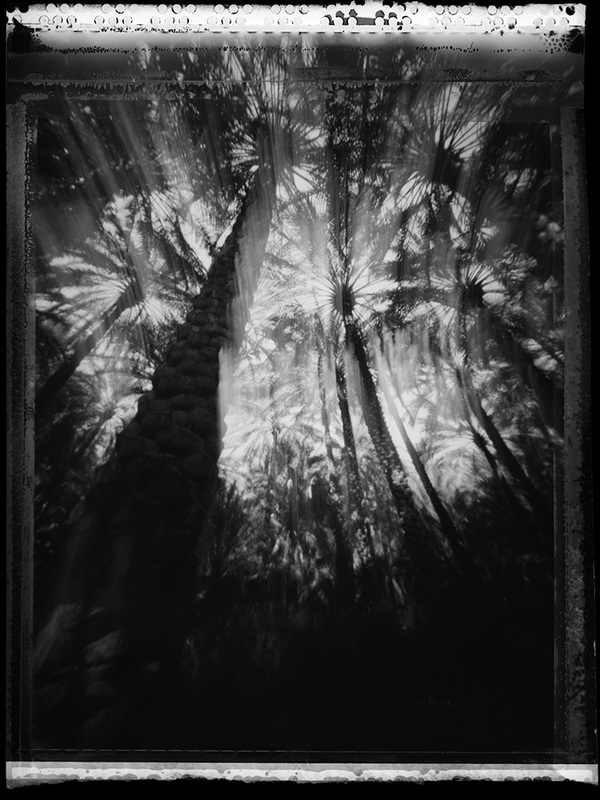 Al Amri captures her hometown of Abu Dhabi on film using an older technique – pinhole photography – to document the changing landscape. Her use of a pinhole camera with a wide-angle lens distorts perspective, illustrating a unique view of urban development. For the artist, this raw medium triggers memories and elicits feelings of nostalgia for the viewer. In Burj, Al Amri recasts Dubai’s iconic Burj Khalifa, the tallest building in the world, into an image of the past – creating a time continuum caught between the past, present, and future.